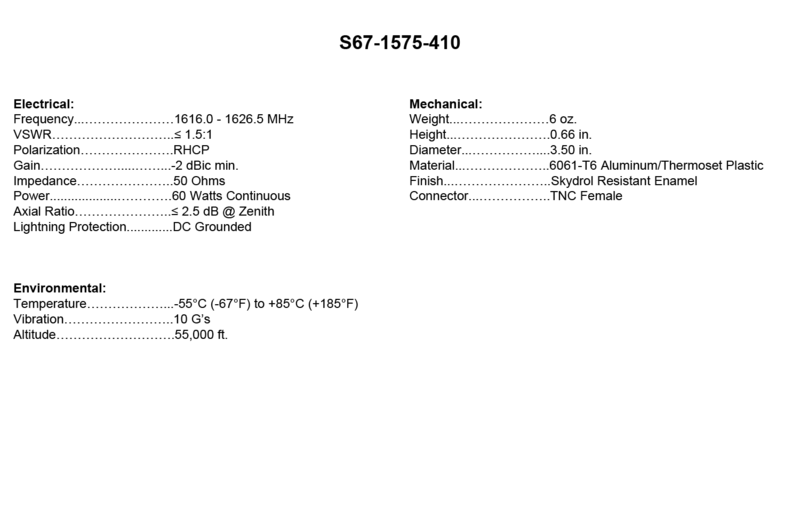 S67-1575-410: Iridium antenna with a frequency range of 1616 MHz to 1626.5 MHz for world-wide Iridium system operations. 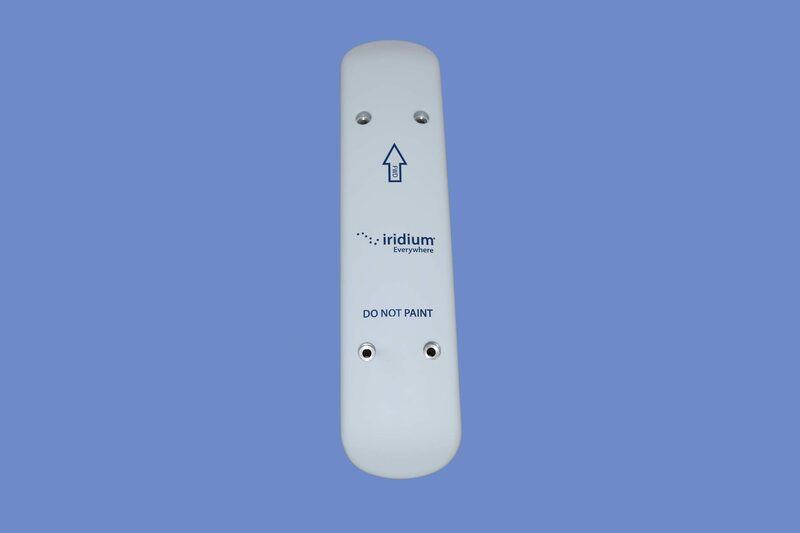 This antenna supports FOI (FANS over Iridium). It is designed with a low-profile, molded radome that ensures superior protection against lightning strikes, rain, and ice. This rugged antenna is DC grounded and hermetically sealed. It qualifies for high-speed military aircraft. 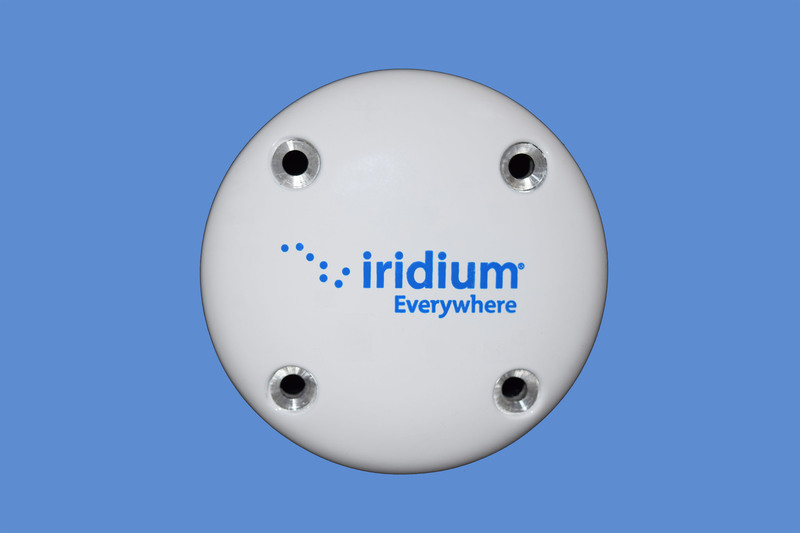 The S67-1575-410 has been approved as Iridium Compatible Equipment (ICE). 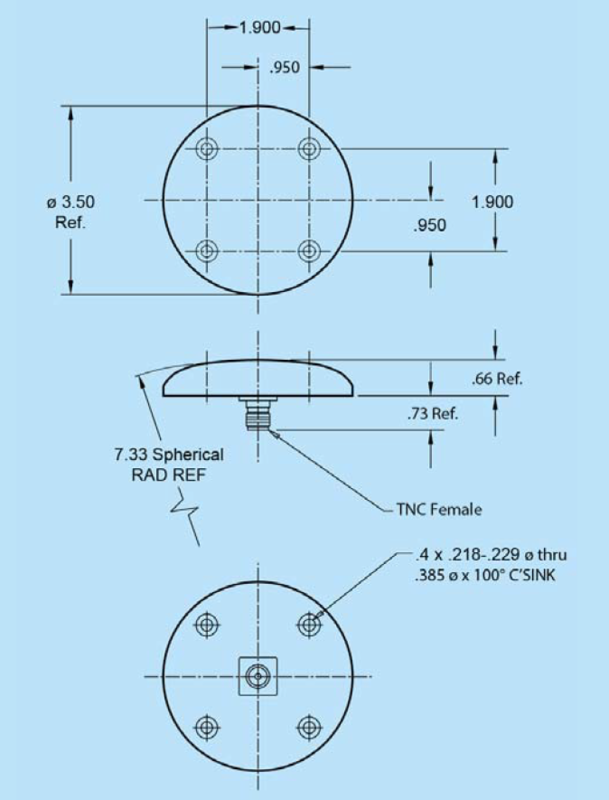 FEDERAL & MILITARY: FAA TSO-C159c, DO-160C/D/E, DO-262B, MIL-HDBK-5400, and MIL-STD-810C/D.